What do you call a Roto-Sphere that no longer rotates? Spectacular - that's what you call it. 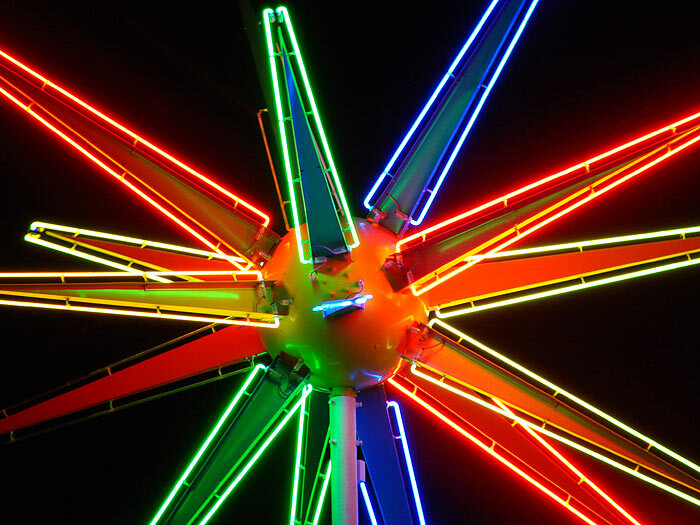 We previously looked at the huge neon signs called Roto-Spheres on the 50th anniversary of the launch of Sputnik last year in a post called "Sputversary." We noted then that the one at the El Comedor Restaurant on Route 66 in Moriarty, New Mexico, wasn't rotating and wouldn't be fixed until (the manager speculated) sometime this summer. 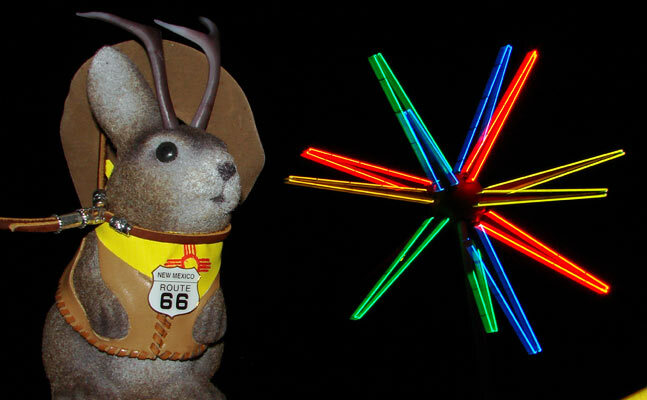 I really like the photo above because it shows a bit of the anatomy of the beast, as far as how the neon tubes attach. It's convenient to have this shot with a car as a size comparison. 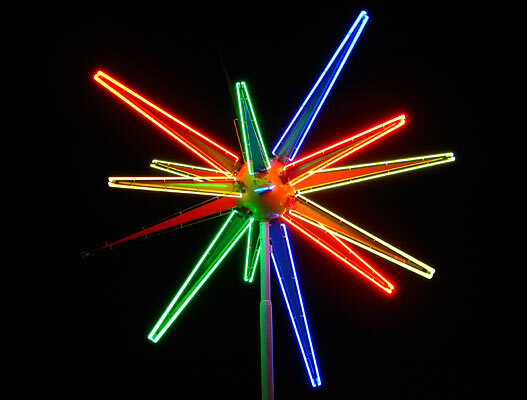 Those spikes are eight feet long and the center sphere is 37 inches in diameter, for a total diameter of about 19 feet. The whole thing weights over a half a ton - pretty heavy for something that looks heaven-bound. We drove by it in late February and are happy to report that it's UFO-like charm remains intact, even with no motion and a few spikes not lit. 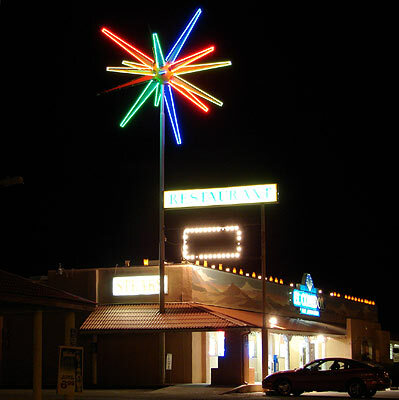 We can also report that the long-broken Roto-Sphere in Gallup, NM, which is reportedly being restored, was not yet back at it's home at the Downtown Plaza. For more about Roto-Spheres and other "sputnik balls," including a video clip of a Roto-Sphere...well, roto-ing, see last year's "Sputversary."